Plants play a critical role in how we experience our environment. They create calming green spaces, provide oxygen for us to breathe, and nourish our senses. 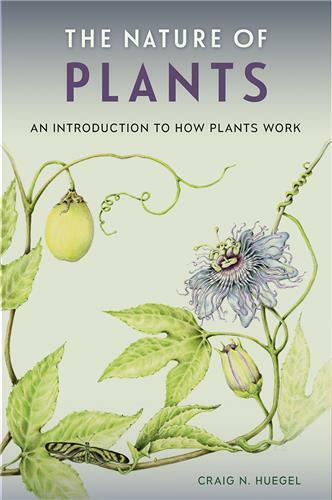 In The Nature of Plants, ecologist and nursery owner Craig Huegel demystifies the complex lives of plants and provides readers with an elucidating journey into their inner and outer workings. Grasses are the fourth largest family of flowering plants worldwide. 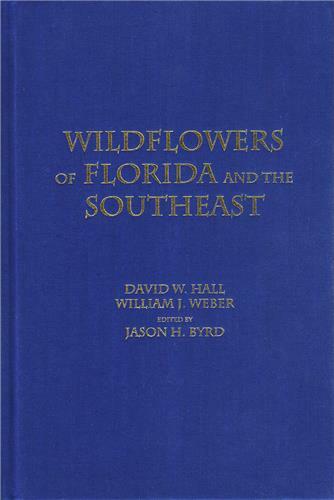 In Florida, grasses occur in every habitat and are the dominant ground cover across many regions. 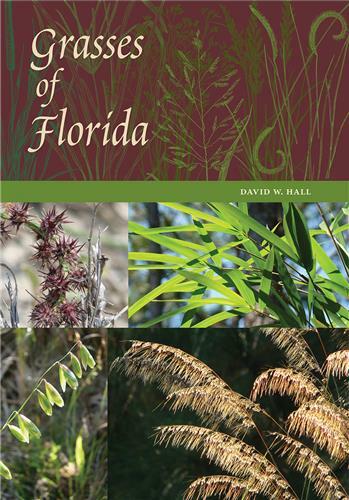 Grasses of Florida is the first complete systematic account of the grasses that occur in the wild throughout the state. 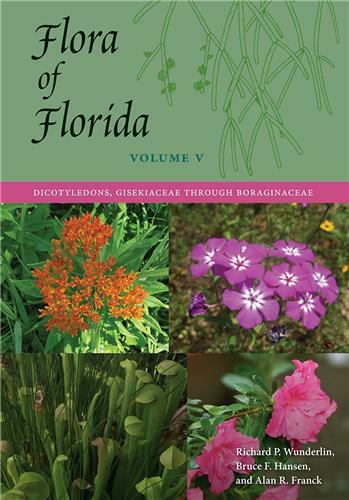 This sixth volume of the Flora of Florida collection continues the definitive and comprehensive identification manual to the Sunshine State’s 4,000 kinds of native and non-native ferns and fern allies, nonflowering seed plants, and flowering seed plants. 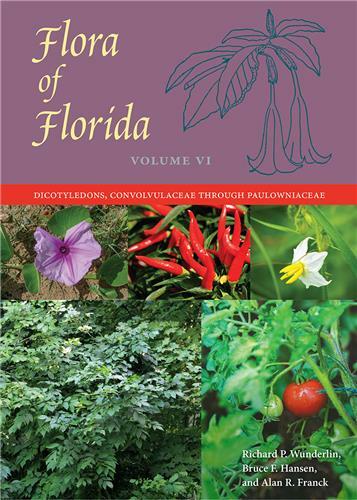 Volume VI contains the taxonomic treatments of 19 families of Florida’s dicotyledons. 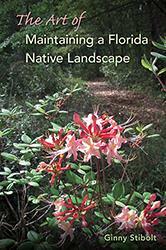 More and more Florida residents are deciding to replace highly fertilized, over-watered, pesticide-dependent lawns with native plants. They want to reduce their carbon footprints; save time, water, and money; and attract birds and butterflies. But where to begin? 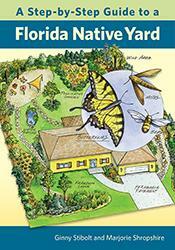 This illustrated guide helps readers get started creating new outdoor spaces that are both sustainable and beautiful. 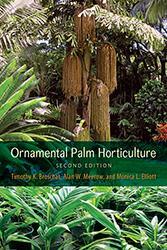 With a wealth of colorful photos, this updated edition of the essential reference for growing palms contains new information on seed germination, fertilization, pests, and diseases. 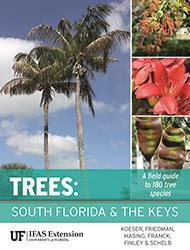 Nowhere else has such comprehensive information on palm horticulture been brought together in one book. 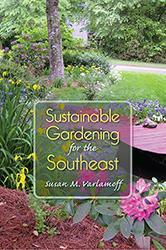 Sustainable Gardening for the Southeast is a vividly illustrated guide that offers simple techniques to help conserve water, reduce pollutants, and mitigate climate change while increasing biodiversity and attracting pollinators and wildlife. Turn off the sprinklers because gardening is about to get easier!